Bishop Seabury Academy is a private college preparatory middle and high school in Lawrence, KS. Text/call Rob Lang, At Home Kansas, 785-393-2274 for showings or for more information. 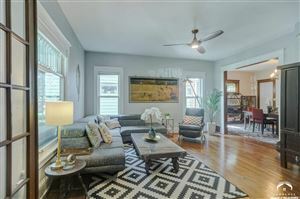 The data displayed on this page is confidential, proprietary, and copyrighted data of Lawrence Multiple Listing Service, Inc., of the Lawrence, Kansas, Board of REALTORS®, Copyright 2019. Lawrence Multiple Listing Service, Inc. does not make any warranty or representation concerning the timeliness or accuracy of the data displayed herein. In consideration for the receipt of the data on this page, the recipient agrees to use the data solely for the private non-commercial purpose of identifying a property in which the recipient has a good faith interest in acquiring.